When it comes to online slots, software providers do not get any bigger (or better) than PlayTech. This company started out way back in 1998. They now power many of the biggest brand casinos around – and are at the cutting edge of innovation when it comes to the latest video slot titles. In addition, PlayTech software runs entire casinos, a huge poker network and sports betting sites too. There are many must-play slots in the PlayTech range. The ‘flagship’ titles are the Marvel range. These tie in with the blockbuster movies and include bonus games and in-reel features not found elsewhere. Marvel slots share a huge jackpot, which is linked between all the casino brands hosting these games. These are far from the only jackpot slots in the vast range of PlayTech games. New titles are coming out every month, and – as more players discover these games – their popularity worldwide continues to grow. PlayTech slots are not licensed to US friendly casinos – check out my US Slots Software Guide for more on the best US options. With more than 250 titles to choose from there are a lot of great slots in the PlayTech range. I’ll divide them up in to the Marvel range, other top-tier video slots, games worth a look for novelty value or unique features – and then the rest including the old video slots and 3-reel games. After this you’ll find pros / cons compared with the other slots software makers, and then a brilliant welcome deal for anyone who wants to try out the games. These slots tie in with the Marvel films, many have clips or animated storylines which come directly from them – while some of the earlier ones simply share a theme. There are a lot of these slots to choose from. I recommend Iron Man 3, the Incredible Hulk and Avengers as good starting points. All of these have multiple bonus games. Jackpots for these slots are always 6+ figures (more than £ / € 100,000) and often more than half a million Euros. There are 4 levels of jackpot (Power, Super Power, Extra Power and Ultimate Power) which are linked between different casinos. You’ll get a choice of 50 and 25 line versions of the games too. As devices and networks get faster, more video is being included, with interactive bonus games – for example the Hulk ‘Smash Round’ getting very entertaining. Marvel slots are not the only must-play games on the list – though they are an excellent introduction to the PlayTech range. There are a ton of titles to choose from, here are 3 of my personal favorites. #1 Monty Python’s Spamalot: This game is themed on the ‘Quest for the Holy Grail’ film. It includes bonus rounds which are loosely based on the film (killer rabbit bonus, knights who say ‘ni’ and so on). These come up frequently, though have relatively small wins. 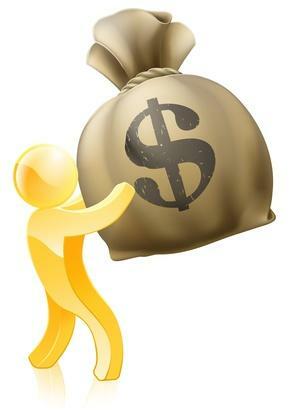 The free spins bonus round and Holy Grail game is where the big money can be found. 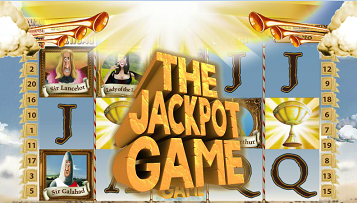 The jackpot for this game is more than €2,000,000 most of the time, with a smaller jackpot often going into the €1000’s. A lot of ‘in-jokes’ for the observant Python fans to enjoy. See my detailed Spamalot Review here. #2 Gladiator: Deliberately blocky graphics which come from the blockbuster movie, plus plenty of bonus round action (Coliseum Bonus, Gladiator Bonus + Gamble feature). There are a lot of slots around based on Roman History, though none anywhere near as good as this one. The jackpot is regularly over the million mark too. More in my Gladiator Slot review. #3 Beach Life: This is a very colorful, old school progressive video slot game. I’m including it as a top pick to balance the more ‘intensive’ slots above – this will appeal to players who feel like a more relaxing session, where you are not having to make decisions in bonus rounds every few minutes. The progressive jackpot is currently over $2,000,000. See my Beach Life slot review here. You’ll find a lot of tie-in games at PlayTech casinos – some better than others! Frankie Detorries ‘Magic 7’ is horse racing themed, Little Britain based on the TV comedy series and the Pink Panther based on the TV cartoon. There are film tie-ins too (other than the Marvel ones) with the Mummy, Cowboys and Aliens and Rocky in the lineup. Alongside the normal themes (Egypt, Norse Gods, Vegas and so on) there are bright and entertaining games like the Funky Fruits Farm and Dr Lovemore. You’ll find a bunch of traditional 3-reel slots, huge choice of video poker games and a lot of arcade games based on TV gameshows at PlayTech casinos too. I have covered these elsewhere here at High Tech Gambling. PlayTech casinos work either via a download, or in your browser using Flash. The browser games are top quality, and will adapt to work with mobile devices. These games do not work on iPads without a 3rd party plug-in for your browser. You will also find apps for Android and iPhones at the bigger casinos, at the moment these are limited to 30 of the best slots (along with a couple of the more popular table games). See this article for more on PlayTech mobile slots. These games did not get to become the most popular slots online by chance. They are state of the art in terms of the graphics and the bonus rounds. Plenty of jackpots should keep you interested, though there are big payouts even for slots without progressives. The Marvel range is a big highlight. There are a lot of excellent games outside of this range – so make sure you check out some of the other titles. Negatives are hard to find for these games. There are fewer ‘in reel’ features (cascading wins, flip-out wins and so on) than at other software houses. The games tend to be the standard 5x3 setups too, with little innovation in other formats (no 243 ways as yet). These really are minor quibbles though – the bonus rounds are better than anything out there, so you will not miss the odd cascade. I recommend the big name casino BGO as a great starting point for PlayTech slots. You can get 10 free spins without needing to deposit (you keep what you win!). Try out the excellent PlayTech range at www.bgo.com now!